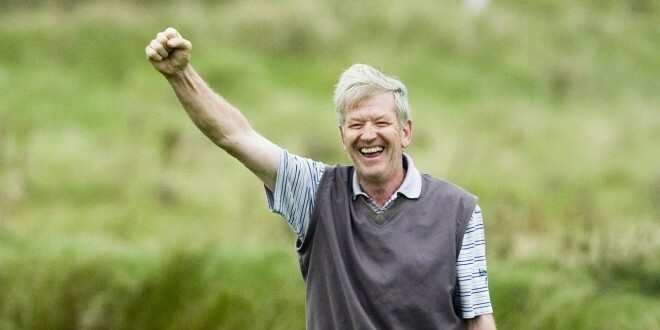 Pat Cotter celebrating a successful 30ft putt during the 2007 President's prize at Doonbeg Golf Club. Photograph by John Kelly. News of the sudden death of Doonbeg native, Pat Cotter has caused widespread shock throughout the county. A former priest in the diocese, the 69-year-old retired from ministry a decade ago. Particularly well-known in Gaelic football circles, he won six senior championship medals with his beloved Doonbeg, being part of the three-in-a-row teams in 1967, 1968 and 1969 and again in 1972, ‘73 and ‘74. He also won six Cusack Cup medals. 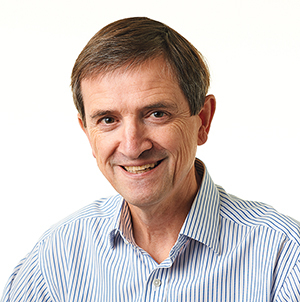 He played at all levels for Clare and served as a mentor with a number of Clare teams, including the senior football side. He served as a Munster Railway Cup selector. He played football with Maynooth College and he played with Wolfe Tones, when he was based in Shannon for a spell. His love of football and, particularly, Clare football was reflected in his involvement in various committees that worked to promote the game. He served on the Clare Football Support Group, which raised funds that led to the appointment of an additional football coach in the county. Away from the football fields, he was a keen golfer, who played off single figures. He served on a number of committees at Ennis Golf Club. He was also actively involved in the golf clubs at both Shannon and Nenagh and played for both clubs in a number of competitions. He was a member of Shannon when they contested the Munster Bruen final, while he helped Nenagh to win the All-Ireland Pierce Purcell title. He was a strong supporter of the development of Doonbeg Golf Links, which opened in 2002, and he was the club’s first captain a year later, a position he held for two years. He went on to serve as club president and he was actively involved with the club. He was also a keen rugby fan and he played junior rugby with Ennis for a number of years. He was a former chaplain to Ennis Community College, where he taught for a number of years. He served in Belfast, Shannon, Ennis, Nenagh and Sixmilebridge. Predeceased by his sister, Dympna; he is survived by brothers, Eamonn, Michael, Martin and Sean and by his sisters, Mary, Bernie, Sinead and Ann. He will lay in repose this Thursday at Doonbeg church from 5pm to 7pm and his funeral mass will take place at Doonbeg church at 12 noon on Friday.